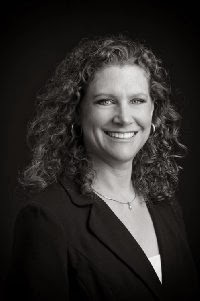 Our guest blogger is Dianna Torscher Benson. This month Dianna won the Selah Award. She is a 2011 Genesis Winner, a 2011 Genesis double Semi-Finalist, a 2010 Daphne de Maurier Finalist, and a 2007 Golden Palm Finalist. In 2012, she signed a nine-book contract with Ellechor Publishing House. She’s the author of The Hidden Son, her debut novel. Final Trimester is her second release. After majoring in communications and a ten-year career as a travel agent, Dianna left the travel industry to earn her EMS degree. An EMT and a Haz-Mat and FEMA Operative since 2005, she loves the adrenaline rush of responding to medical emergencies and helping people in need. Her suspense novels about adventurous characters thrown into tremendous circumstances provide readers with a similar kind of rush. Welcome, Dianna. What fun or unique things can you tell us about yourself? As a scuba diver, I’ve dove nearly 150 feet in the Caribbean Ocean in Grand Cayman. As a climber, I’ve reached the summits of thirty-three Fourteeners (in Colorado there are fifty-four mountains over fourteen thousand feet in elevation). In addition to scuba diving and climbing, I love to cycle and run. My father was a triathlete; he was killed in a bicycle accident when I was in high school. My oldest daughter competed at the 2012 US Olympic Swim Trials for a spot on the team that went to the 2012 Summer Games in London, but the Trials were only seven weeks after my daughter endured scoliosis surgery (thirteen-inch spinal incision to insert two titanium rods and twelve screws), so she was unable to swim anywhere near her best. I’m a life-long outdoor enthusiast and high-level athletic competitor. I love spending time in any kind of nature doing something athletic and adventurous, especially with my family and friends. My four favorite activities are running, climbing, cycling and scuba diving. I also enjoy traveling, reading, watching all kinds of movies, and watching Chicago Fire, Chicago PD, The Walking Dead, Castle and The Big Bang Theory. Mother Teresa. Her life represented everything kind, good and selfless. The love she had for all people of the world is exactly how God wants us to think, feel and live. I’d love to sit down and simply listen to Mother Teresa about anything and everything. Please tell us about Final Trimester. Life is hard; relationships are super hard, but that’s that point. Through our trials and tribulations, God is building our souls so when our flesh dies, our souls are developed to where God wants them to be for our life in eternity. In Final Trimester (and in all my books), I want readers to see how my characters don’t just “get through” or try to “get over” the difficult stuff in life; instead, my characters accept the pain difficult events in their lives cause and they move forward with a renewed sense of understanding in themselves, in life, and in God. Thank you, Jo, for hosting me on your blog! Dianna, I’m glad you spent time with my readers and me in your interesting interview. 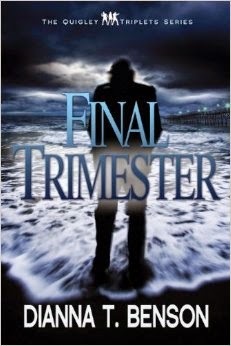 Thank you for offering a copy of Final Trimester, which one of our commenters will win in a random drawing. Remember: leave a comment on THIS post by 6 p.m. CT Sunday, May 25, 2014 and you'll be entered in the drawing for a copy of Final Trimester by Dianna T. Benson. Please, please remember to leave your email address. I'll need your email address so that should you be the winner I can get in touch with you. I'll announce the winner in Monday's blog. This sounds like an exciting and intriguing book. I don't usually read mysteries or detective stories, but I would definitely read this one. Joanne, thanks for coming by and leaving your comment. I NEED YOUR EMAIL ADDRESS IN ORDER TO ENTER YOU IN THE BOOK DRAWING. Chris, It does sound intriguing. I love reading mysteries--but I can't write them. Thanks for leaving your comment. thanks for the opportunity to read this wonderful novel. Karenk, glad you came by and left your comment. Dianna, you're so welcome. Glad to have you here with my readers and me. I am a follower and I also follow by email. I would love to win this book for my Church Library. It would be a great addition to our men's section of Christian Fiction. Janet, so glad you stopped by and left your comment. I appreciate you being a follower of my blog!! It's wonderful that you pass on books to your church library. Maxie, thanks for reading and leaving your comment. I appreciate you being a follower of my blog! Thank you for mentioning my work. Thank you for the introduction to Dianna Benson! I enjoyed this interview and am adding FINAL TRIMESTER to my TBR list. It sounds like an exciting read! Brittney, You're so welcome. It's exciting to discover new authors and their books we'd want to read. Glad you left your comment. Thanks so much for following my blog! Hi Jo! Dianna sounds like a fascinating lady, full of energy and life! Thank you for a great interview. Final Trimester sounds intriguing and I would sure love to settle down with it. Melanie, glad you enjoyed the interview. Thanks for coming by and leaving your comment. I appreciate you being a follower of my blog! Caryl, I'd never heard of the name Huddleston till II met my husband I'm glad you liked your Mrs Huddleston. Thanks for coming by and leaving your comment. Pre-orders for the print book of Final Trimester are available wherever books are sold. The e-Book format on Kindle and Nook is available now. The print book releases June 19, 2014. I enjoyed my time here with you all. Thank you again, Jo!